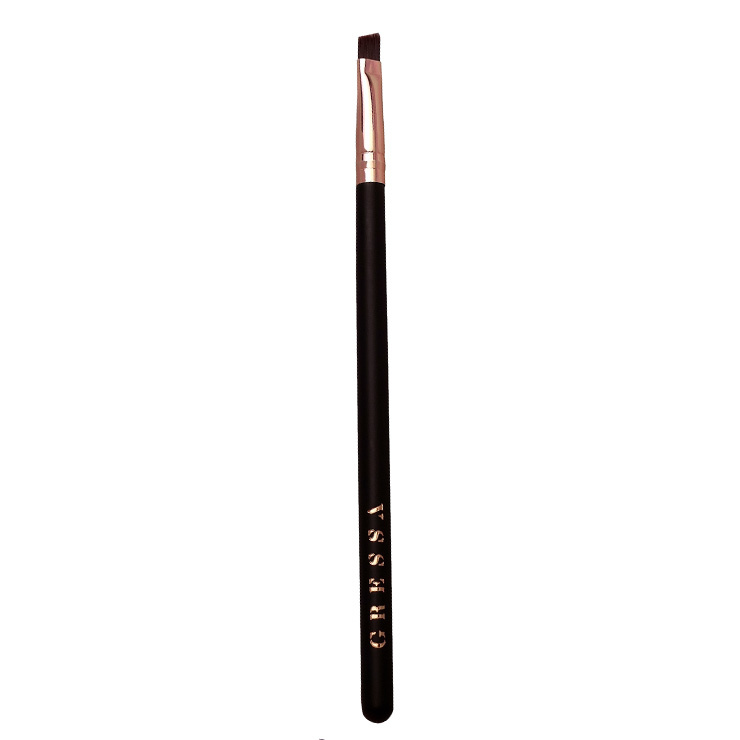 Gressa's Angle Liner Brush is a handcrafted applicator made with vegan materials. Efficient and easy to use, the Angle Liner Brush is perfect to create a precise line or winged effect. Use brush to press color along lashline for a precise line or wing. 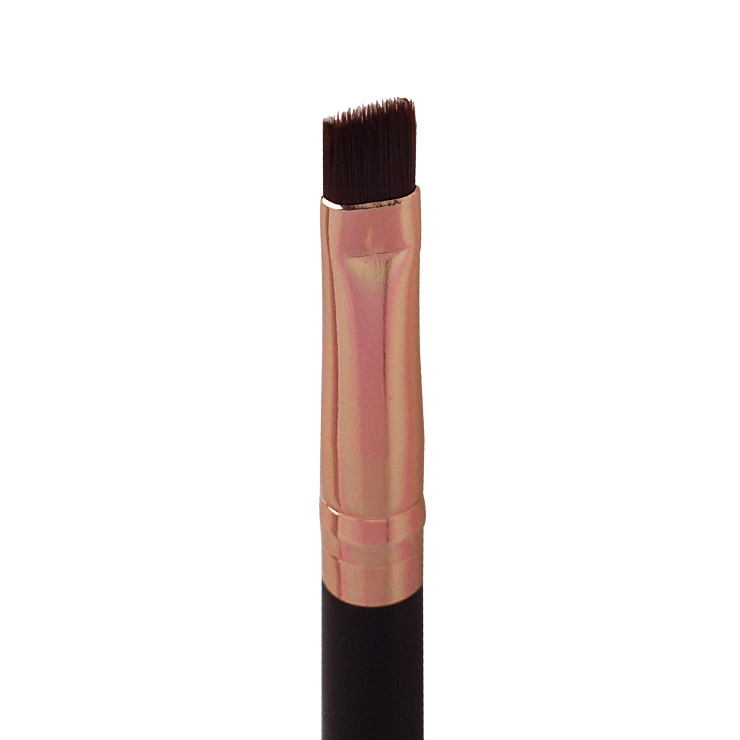 This brush is wonderful for tightening, working color right into the lash line, as well as regular eye lining. I use it with Gressa's Obscur, which only takes like a few molecules of pigment to line your entire eye. I also use it with powder shadow, and it works equally well. Very well made brush with a nice, long handle.